Two weeks ago, I wrote about the role aggression plays in my novel A Portrait of Love and Honor. Another theme in the book―connection between two people. What makes for "good chemistry"? Is it "a mystery," or do valid reasons explain why we are attracted to some and not others? In the novel, Jay and Ava soon realize that the connection between them is undeniable. Perhaps, by the very fact that Jay approaches Ava to edit his memoir―disclosing who he is in an intimate and deeply personal way sets the stage for connection. As Jay realizes, The joke about being “an open book” certainly applied, at least to him. Revealing deeply personal information about ourselves to another person fosters connection―assuming the other person reveals, as well. We have learned this many times over in the Women’s Writing Circle. Life stories sow the seeds of relationship. Feeling understood, empathized with - indeed "recognized" by another―allow connections,whether romantic or platonic, to blossom. As I wrote the love story between Jay and Ava, I realized how I often lacked understanding of what had drawn me to some people and not others. Writing memoir and fiction allowed me the luxury of examining my life and searching deep within myself to find answers to questions that have long eluded me. Sometimes, chemistry resides in the “mystery” of another person, that longing to know and be part of something different from our own experience. For example, Ava’s background couldn’t have been more different from Jay’s. “My family, on the other hand, had dinner at five as soon as my father walked in the door,” Jay said. “My mother had come through Ellis Island from a small village in Italy. She was eight years old. Hell. My grandparents still spoke Italian, and my grandmother never learned English." Jay finds himself drawn to a woman whose family of origin is almost polar opposite from his own. "American traditional versus European provincial; mainstream versus subculture; dependable and solid versus argumentative and hard to please." "Perhaps her reluctance to “play the game” stemmed from innocence and impossible expectations. Her father had been naïve, as well as somewhat lofty and cerebral in his approach to life. The real world took a back seat to books and scholarly pursuits. She had never been taught the upside to having a strategy to get ahead." The more self-knowledge a person possesses, the more confident they often become, not just to empathize, but open themselves up to others. What about you? Can you share thoughts on connections and how writing has helped establish meaningful relationships? 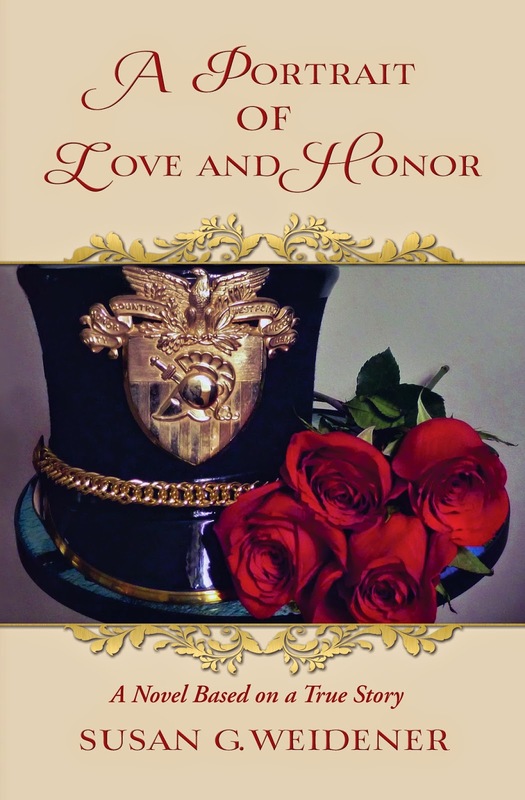 Based on a true story, A Portrait of Love and Honor takes the reader from the halls of the United States Military Academy at West Point during the Vietnam War to a moving love story between two people destined to meet.